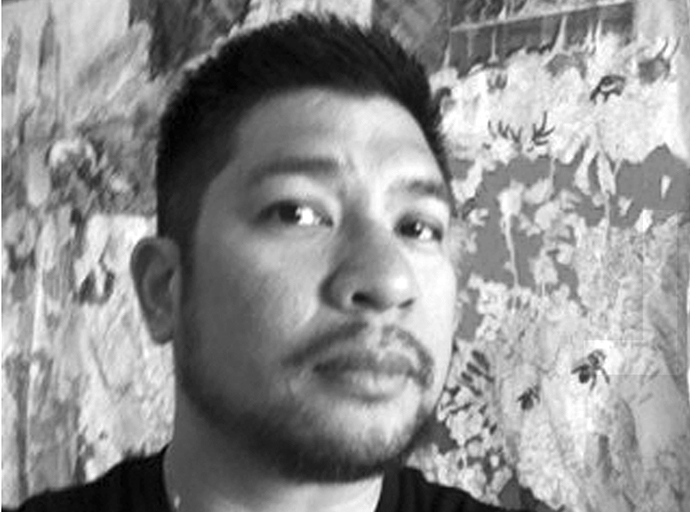 Rico J. Reyes is a curator and artist working on surplus identities accumulated through various exchanges within the globalized capitalist system. As a curator, Rico has organized exhibitions for San Francisco Museum of Modern Art Artist Gallery; UCLA Fowler Museum; SOMArts Cultural Center; and the University of the Pacific Reynolds Gallery. Rico has exhibited his work at Hartford Artspace; Boston Center for the Arts; Aljira, a Center for Contemporary Art; Gartenstudio in Berlin, Germany; Goldsmiths College, London; Third Space Gallery, Quezon City, Philippines. Rico received his BA from UC Berkeley, his MFA from UCLA, and is currently ABD/PhD candidate at Goldsmiths, University of London. Rico works in non-profit fundraising, serves on the board of the Hartford Gay and Lesbian Health Collective, and sings with the Hartford Gay Men’s Chorus. He currently works and lives in Hartford, CT.